Tell actor Tim Heidecker that you’ve seen his new film, “The Comedy,” and he’ll ask you if you’ve had nightmares yet. The new film, written and directed by Rick Alverson, is an intensely dark comedy about Swanson (Heidecker), an aging Brooklyn hipster whose aimless existence drives him towards ever-increasingly absurd—and downright disturbing—behavior. Of course Heidecker, the king of anti-comedy, keeps everything ironically funny—even while Swanson engages in drunken, naked partying, taxi-cab hijacking, and creepy voyeurism. It’s an impressive feat. This is kind of a weird question, but do you like Swanson? Tim Heidecker: No. Well, I don’t like the things he does. But I think there’s probably a human being under there that is going through some pretty life-crisis kind of moments. I don’t like to judge anybody, whether they’re fictitious or not. Do you actually know people like Swanson and his friends? Where did you find your inspiration? Heidecker: In this case [in “The Comedy”], these guys are all upper class, entitled, not worrying about money or working so much. I think there’s a whole subclass of people out there that you’d call hipsters, I guess, that you find living in New York and other places like Silver Lake—they’re all over the place. Sometimes, Swanson and his friends just seem so extreme in their absurdity and inappropriateness. Were they meant to be metaphors of some sort? Heidecker: That’s a good question. I think the director, Rick, who wrote the film as well, was kind of thinking in terms of Swanson and his friends being kind of a metaphor for America, and the sense of entitlement and recreation and luxury that exists here, and our detachment from the working world and the way we treat other people. There's a lot of improvisation in the movie, correct? Heidecker: Yes...There was a script without dialogue, so there was about an 18-page non-dialogue script, which outlined the themes and told the basic structure of the story. And it also was very lyrically written, very beautifully described—the angst and uncomfortable-ness of everything—and it gave us a real good place to start, and gave the production a sense of what we were trying to do. And then as far as the dialogue goes, I think Rick cast people that he trusted to bring their own personality and sense of humor or sense of naturalism to the parts. Did you have a favorite scene to film? 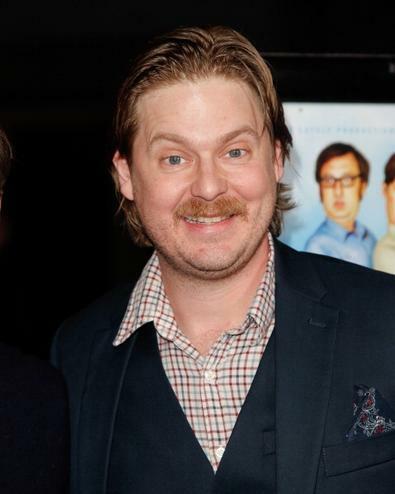 Heidecker: I guess the party scenes were actually really fun. We just created a real party. Cameras got way in the back and had the long lenses on, and we just put on some music and it was summertime, and it was just fun. It was a nice thunderstorm that night; it was just beautiful. The whole experience was like this weird summer vacation. You get to be in a movie, and say whatever you want, and sit on a boat, and drink beer. It was actually quite pleasant. And you guys were friends before you started this. Heidecker: Yes. I was friends with Eric [Wareheim] and Greg Turkington, and a couple of the other guys. So that was part of the original idea, [which] was, let’s cut to the chase: let’s cast people that already know each other, and not try to contrive these relationships. Let’s just get real relationships and let them play out in the context of this movie. You have your own unique style of comedy—“anti-comedy,” people call it. How did you develop that? Heidecker: My friend Doug Lussenhop, he used to run kind of a comedy night at this little dive bar in Glendale, and I’d go to support him. But there used to be just one or two people every night that would come up and do their same act, and it was just never good, it was never gonna get good, and it was just—I hated it, and I hated it because I just felt like they were in it for the wrong reasons. They weren’t funny, and they seemed to be using it as a stepping stone. It wasn’t coming from a genuine place. So I started doing it at that [comedy] night as a response to that, and it became a fun character to do. Do you have any other advice for aspiring performers? Heidecker: Be yourself. I know that sounds like a cliché, but that’s how we got where we are. And then there’s not much else you can do to control your career, because so many other factors play into it—other people’s personal taste, luck, all that kind of stuff. But as long as you’re in it for the right reasons—that you feel like you enjoy doing it and want to do it and treat it professionally and treat it seriously—it’s all you can do.